Chaucer wrote (and I paraphrase): When April with its showers, breaks the drought of March ... boating season is almost upon us! Whether you live in an area where winter is cold or boating is a 365-day-a-year pastime, it&apos;s wise to pause and reacquaint yourself with some safe practices that will help you enjoy the warmer days ahead. Nothing creates the conditions for a bad day on the water - or worse, a tragedy - as much as complacency. I&apos;ll give you a few things to keep in mind. But first some general thoughts: A) Remember to keep up with regular maintenance and be diligent about replacing what needs replacing before it fails on the water. When it comes to service, you typically get what you pay for. A good mechanic can be the difference between a trouble-free season and a big headache. B) Put your brain in gear before you cast off, long before you cast off. Unless you&apos;re someone really, really special, you can&apos;t walk on water. Sooner or later, you&apos;ll find yourself in conditions that make gardening seem like a good recreational choice. 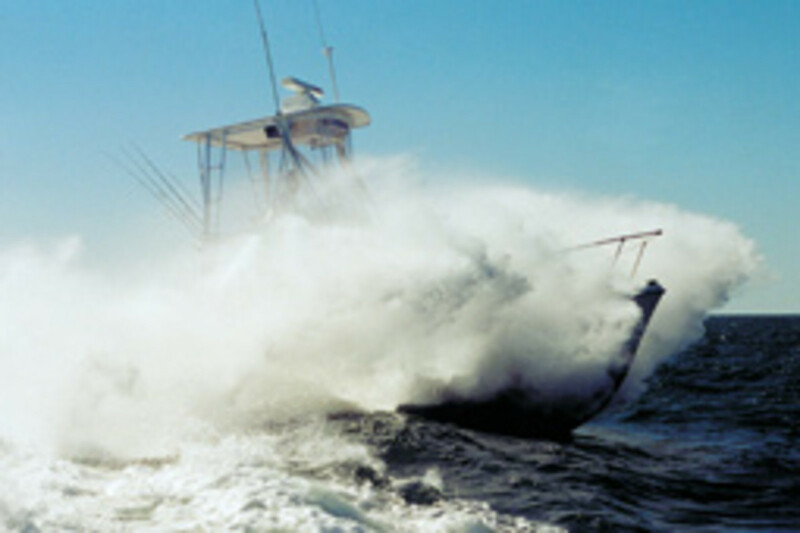 What constitutes rough conditions for you depends in part on the size of your boat and your experience. A fair breeze and accompanying seas to a 40-foot power- or sailboat could equate to near survival conditions to a 14-footer with a less-experienced skipper. Try to keep things in order inside the boat. Secure groceries, books, kitchenware and tools. Most doors on lockers won&apos;t hold in rough conditions. Shelving is even more problematic, and flying books, canned goods and pots and pans can really ruin your day. 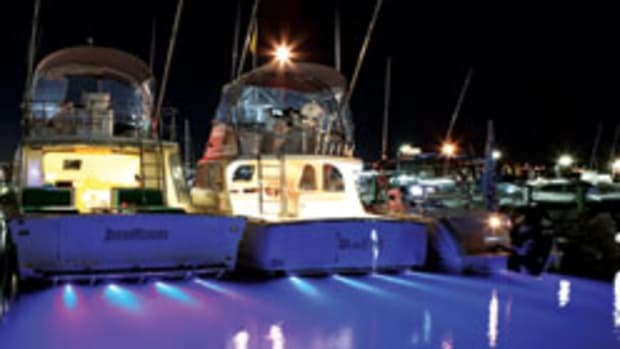 There are other areas on any boat where trouble can develop. 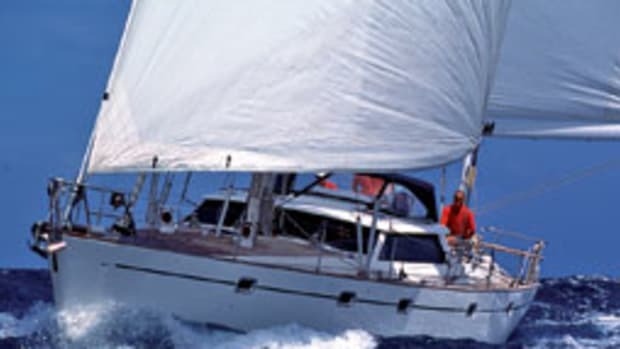 On a sailboat they include sails secured to halyards (the shackles can work loose); rudders on smaller boats and steering gear on larger ones (this applies to powerboats as well as sailboats); and, of course, standing and running rigging. The yard hands don&apos;t always apply proper tension to the turnbuckles. Look aloft at your running rigging every time you step aboard. Is it leading fair or foul? 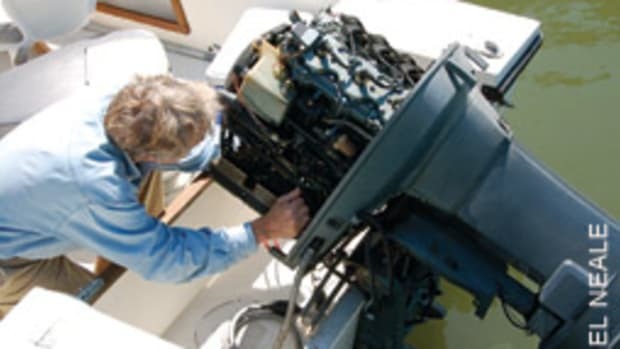 Powerboaters and sailors should check the engine and the connections and fittings that make them work, including transmissions and fuel delivery systems. 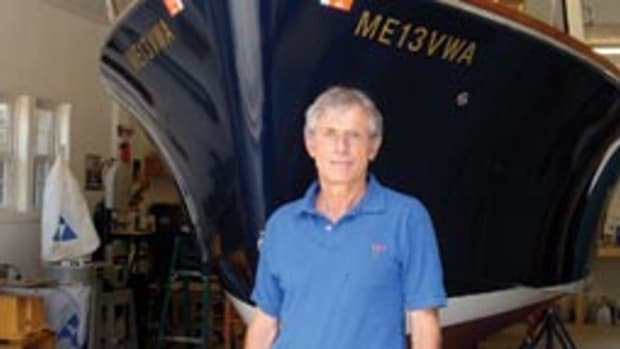 I once delivered a boat only to find that the gear linkage had come loose and we couldn&apos;t go into reverse - not one of my finest hours in the inspection of a boat before it leaves the dock. 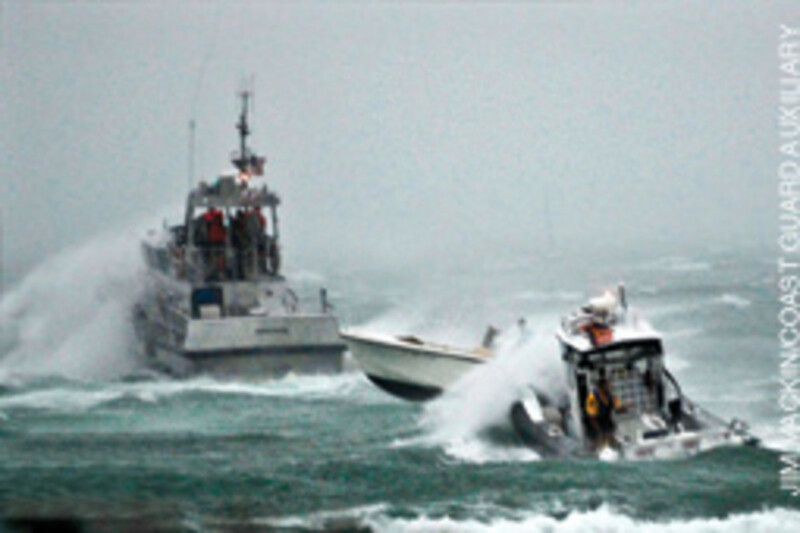 The shock effect of rough seas can work things loose. When you get caught in threatening weather, the tendency is to hurry home. Check the seas before putting the pedal to the metal. Too fast, and something can shake loose. Then you&apos;re in deep natural fertilizer. There&apos;s a fine line between going too fast and too slow, and you&apos;ll have to find that sweet spot. Experienced boaters find it by trial and error. Don&apos;t hesitate to change the throttle if you sense the setting isn&apos;t right. Don&apos;t wait for proof. For example, a planing hull in displacement mode is a sorry thing. It&apos;s designed to be stable on plane, which usually is around 10 to 12 knots. If you can, modify your track to maintain planing speed. Remember that when you run against the seas, shock can be a significant threat. When running with the seas under power, however, you can overshoot and fall off the wave, which in addition to the shock effect can cause you to broach. Electrical connections can get soaked and short out, leading to engine failure. Don&apos;t forget that all of that bouncing and shaking can loosen material that might have collected in the bottom of your fuel tank, causing engine problems. When you&apos;re caught out, proceed prudently, adjusting your speed to match changing conditions. Above all, when the instinct for survival is welling up (I would never even consider that there was an element of panic there) and you see yourself being caught in heavy weather, don&apos;t make for a leeward, or downwind, refuge. Always make for the nearest shelter that is to windward of your position. For those of you who boat in the Northeast, there is a harbor of refuge at Point Judith, R.I. What makes Point Judith a harbor of refuge is that it has two entrances - one from the southeast and one from the west. If the wind and seas are from the south and/or east you use the western entrance; conversely, use the eastern entrance when faced with strong westerly winds and seas. The reason is that a vessel, power or sail, has less control when it&apos;s driven by the wind than when heading into it. Always avoid a lee shore, regardless of your boat. 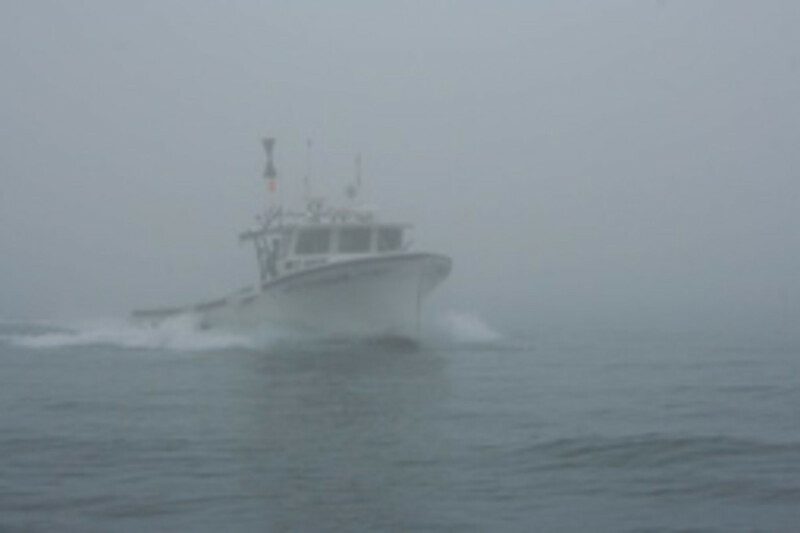 Advection fog occurs in early spring because the temperature of the water is lower than the dew point. That means a clear morning can suddenly turn to fog. Remember that in reduced visibility, the COLREGS - the International Regulations for Preventing Collisions at Sea - are suspended. They apply only to vessels that are in sight of one another. There is no right of way until you can see the other boat, so keep your speed down. At 1 knot you&apos;re traveling about 100 feet a minute, so you need time to react. A state trooper once told me to leave adequate time when I drive in dry, clear conditions, regardless of speed - enough time to sense the situation and respond. That&apos;s probably three or four seconds. 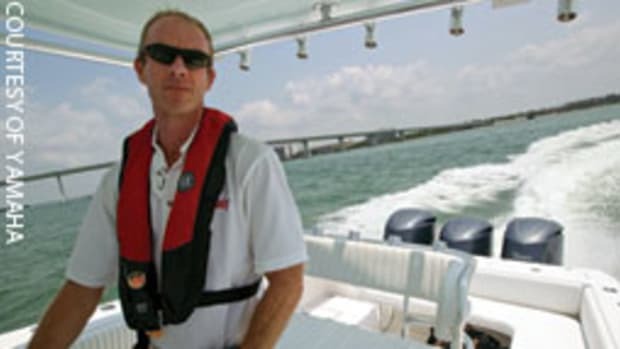 The COLREGS say boats should slow to a "safe speed" but don&apos;t define it. I suppose you&apos;ll get a better feel for a safe speed if you&apos;re in a collision while visibility is reduced. Learn the fog signals and use them. Too many boaters ignore or are ignorant of those signals. They rely on the speed and agility of their boats to keep them from harm&apos;s way. Usually they can get away with it, but not always. 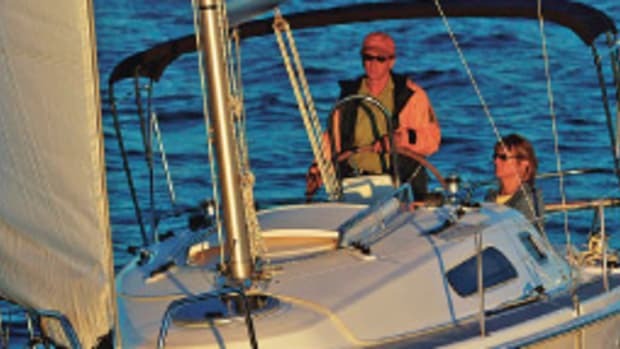 The signals should be sounded while you&apos;re under way, not at a dock or in a designated anchorage. Sound one prolonged blast at two-minute intervals when under power. 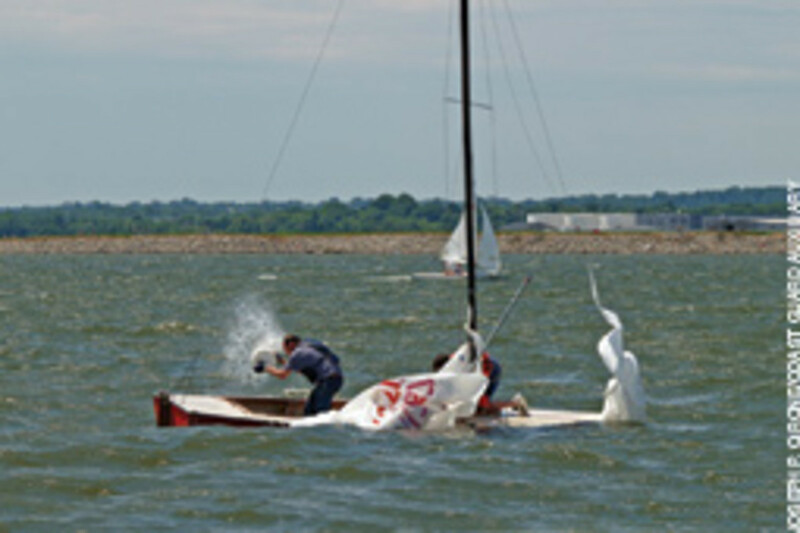 When motorsailing, a sailboat is a power-driven vessel and should signal the prolonged blast. Sailboats under sail alone, as well as all other vessels that might be at some disadvantage when maneuvering, sound one prolonged and two short blasts every two minutes. If you are anchored anywhere but in a special anchorage area you must ring a bell or something like it rapidly for four or five seconds every minute. If you hear this or a short-prolonged-short series of blasts in addition to the bell, watch out. If there is a gong after the bell, it&apos;s a large ship at anchor. Refer to the COLREGS for the rest of the rules (www.navcen.uscg.gov). Mother Nature can be a beautiful creature, but when she carouses with her occasional paramour Murphy, things can get dicey. You have to be aware that, sooner or later, you could be involved in a dance with them. Whether you call it Murphy&apos;s Law or something else, you will feel its effect: Whatever can go wrong will, at some time, go wrong. When something goes wrong, rest assured it will be at the worst possible time. The one thing you neglected to bring is the thing that will become critical. If the problem is easily fixable, the tools or materials required will not be available. The more serious the problem, the harder it will be to gain access to it. Whenever possible, watch the work being done on your boat. You need not be capable of doing it yourself, but you should have a fair idea about the correct way it should be done. If you give a potential problem a chance in any situation, things will go wrong. If it&apos;s not corrected right away, the situation will cascade from bad to worse. Remember my point A: regular, preventive maintenance goes a long way toward keeping Murphy at bay. Years ago, there was a program on the University of Wisconsin radio station that ended with the phrase, "When you&apos;re down on the planet, don&apos;t sweat the small stuff. Down on the planet, it&apos;s all small stuff." Not true when it comes to boating. We can&apos;t do much about Mother Nature, other than avoid challenging her when possible. Murphy, however, is another matter. 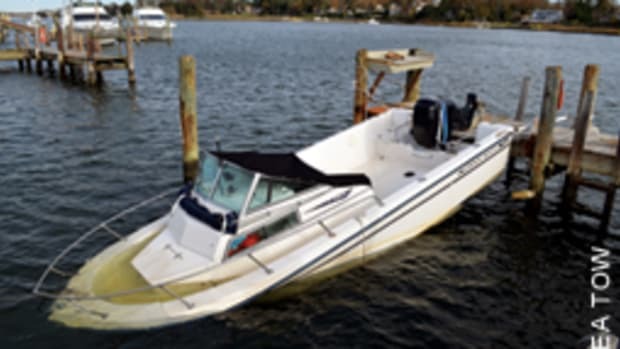 On almost every occasion when problems crop up on a boat, they are attributable to neglect, carelessness or fuzzy thinking by the skipper or whoever prepped the boat. Here are some real-life examples. A boater, wanting to save his battery by reducing the draw on it, mounted a float switch for his small bilge pump higher in the bilge. He didn&apos;t install a second, larger bilge pump. He didn&apos;t replace the original pump with a larger-capacity pump. He also had no manual pump as backup. One fine, sunny day his stuffing box (to which no attention had been paid) started leaking excessively. After all, a stuffing box is merely the means to allow a controlled leak into the boat. By the time his float switch kicked in, the water in the bilge exceeded the capacity of his pump. Seeing his predicament, the boater headed for shore and managed to reach water that was shallow enough that the boat didn&apos;t sink. I once went sailing with a friend whose boat was moored by an undersized line to its buoy. We were anxious to get going and didn&apos;t "waste the time" to replace the worn line. When a powerful blast struck as we were tying up, no strong line was available to secure the boat to its mooring. We almost lost her. By the way, superb seaman that I was, I hadn&apos;t checked to see whether the ground tackle was in working order. It was not. As I said, we almost lost the boat. The point is, little problems have a way of cascading into big ones. My parents and grandparents used to tell me, "The water has to take X number of lives each year, so don&apos;t be the first one in or the last one out." Water - the sea - is not inherently cruel, but it is utterly unconcerned about human error. For those of you who think, I&apos;m OK, I have Sea Tow, think about getting from one boat into another in even a small chop. Think about you, your wife and kids in the water. Create a precastoff checklist. There is nothing quite as ridiculous as a boater without simple, essential hand tools. You can&apos;talways call the repairman. So here is my take on the minimal items, the right stuff to have on hand when you go boating. You never know when you&apos;ll need a good knife - and need it in a hurry. A good knife is a sharp knife that can hold an edge and can be sharpened when necessary. Nothing will cut through wet line, which is tougher to cut than dry line, as well as a knife with a good serrated edge. The problems with serrated blades are that they are difficult to sharpen, and they&apos;re not much good for anything else. They will, of course, cut through a sausage, but it&apos;s hard not to butcher bread. Some pretty good knives are available with a combination serrated and smooth edge. Just be sure there is enough of a serrated section so it&apos;s useful when you need it. I have never understood the logic of carrying a folding blade that requires two hands to open. If you don&apos;t want to carry a fixed-blade knife in a sheath, there are quality knives that can be opened one-handed - and, no, they are not switchblades. They also can come with sheaths. Speaking of sheaths - holsters, if you will - leather ones look snazzy, but leather will deteriorate rapidly when it&apos;s exposed to salt water. A good nylon sheath that can be worn on a belt is the best bet. Next to a knife, a screwdriver is essential. 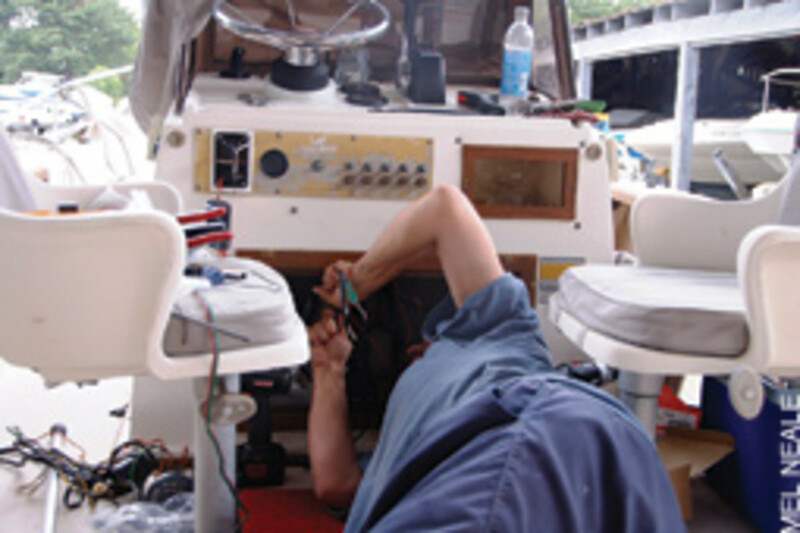 Most boats have Phillips-head machine screws and sheet-metal screws. Woodwork and some electrical devices use slotted-head screws, so you&apos;ll need both types of screwdriver. Although a properly shaped Phillips-head driver can often work with screws of various sizes, the same is not true of slotted-head drivers. SOG, Leatherman and others make good multitools, but I don&apos;t care for them as a primary knife substitute. I carry a SOG tool, along with a sheath knife, on my belt. Between the two, I always seem to have the right tool on hand. Multitools are not a substitute for serious tools, but they work well enough for a minor emergency or repair. With knives and multitools, stay away from cheapies. When you need a tool or knife, you want a quality device. Spend a few more dollars and get something you&apos;ll be able to use when using it can keep you out of trouble. A good adjustable wrench is handy and auto-adjusting models are available. The trouble is that they are rarely rust-resistant. WD-40 doesn&apos;t work well against salt water, so I&apos;d recommend Boeshield T-9 or an equivalent that better resists salt water. And locking pliers, in needle-nose or regular configuration, are available in different sizes. Slip-joint pliers also are handy. Protect every tool, including knives and multitools, with a good rust preventive. Nothing, even stainless steel, is rust-proof, and the more nickel in the alloy, the softer and weaker the tool will be. Most boats come with a damnable variety of SAE and metric fasteners. You don&apos;t need a toolkit with all of the sizes. Determine the ones you will need and equip yourself accordingly. You&apos;ll need something in which to store these tools. There are roll packs that are impregnated with rust preventives. Don&apos;t forget to spray your tools, regardless of the assertions on the package. A new season is approaching. Stay safe, boat smart and enjoy.